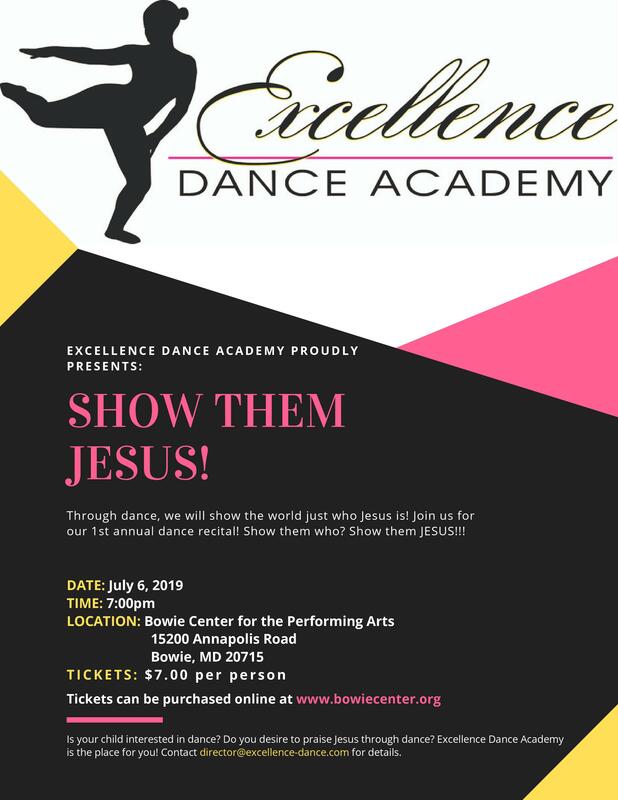 Excellence Dance academy will present our first annual dance recital titled "Show them JESUS!" Through dance, we will show everyone who we are and what we believe, in an effort to encourage everyone to boldly proclaim their faith. Show them who? Show them JESUS!! !